The Drive & Drool Keys put baby in the driver's seat! 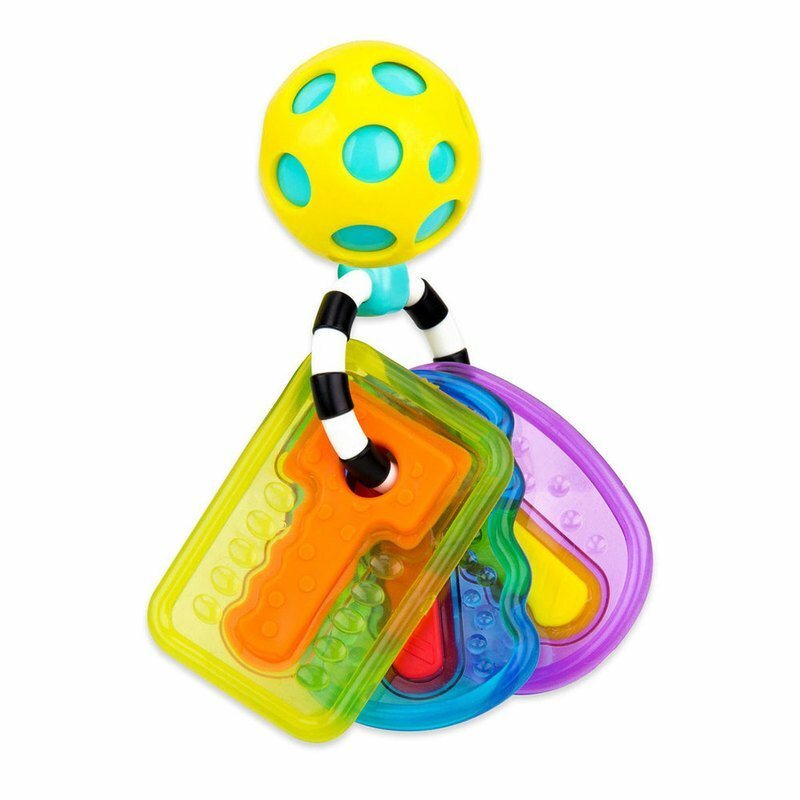 A rattling polka-dot ball makes for an engaging key chain and offers a fun rattling sound. The use of contrasting colors, different materials, and variety of surfaces help stimulate baby. The soft, squishy material is perfect for baby's environment, and is dishwasher safe, too!